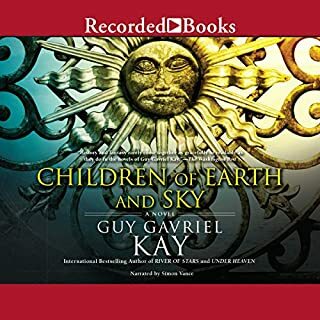 In the conclusion of Guy Gavriel Kay's critically acclaimed fantasy trilogy, The Fionavar Tapestry, five university students from our world prepare to sacrifice themselves - as they enter into final battle against a power of unimaginable proportions. 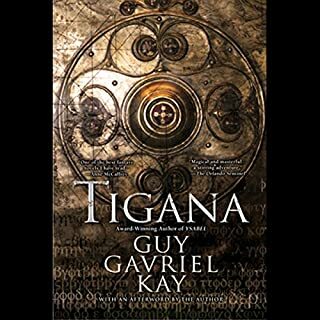 Don't lose the thread...listen to more titles in the Fionavar Tapestry series. A fitting end to an entirely bardic and BIG sort of tale. The mission to Cader Sedat was a success. Metran, the traitorous former First Mage of Brenin, has been slain and the Cauldron of Kath-Meigol has been destroyed. But the war against Maugrim is still ongoing. The Armies of Light have barely beaten back the first assault and only then with the intervention of the unpredictable Wild Hunt, led now by the child Finn. Meanwhile te voyagers from Cader Sedat must still sail back to Fionavar. Finally the quest of Kim Ford, that being to rescue the besieged Paraiko, the peaceable giants of Kath-Meigol, seems overtaken by disaster. And even if she wins through to the place where the giants are slowly and bloodlessly being put to death so as to avoid the ancient Blood Curse protecting their race, she may not be able to save them without also undoing them. Into the midst of all this comes Darien, the child born of Jennifer Lowell, now revealed to in fact be Queen Guinevere of Camelot, and Rakoth Maurim himself, Devastated by Finn's unexpected departure and convinced that nobody wants him, the newest Andain seems bent on journeying to Starcadh, where he hopes his father will welcome him. Te board is set and te pieces upon it are moving toward the last move that will spell the end of the war one way or another. Can the Armies of Light withstand the overwhelming might of Maugrim? And what of Darien? Will he choose the Light and possibly save the lives of everyone else? Or will he embrace the darkness and make his father's victory complete? Once again this was an excellent tale and a worthy conclusion to the Tapestry. And Simon Vance as usual does an excellent job bringing it to life. I wholeheartedly recommend it. This trilogy is not on a par with "Under Heaven" --also by Kay --but it is quite good. This is the best of the 3. 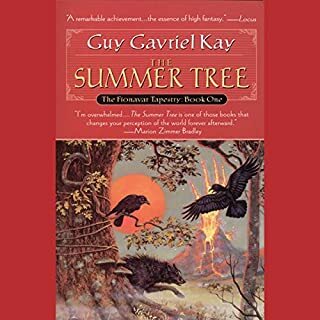 It's a shame Guy Gavriel Kay didn't write his version of the Arthur legend. It's here, along with so many other bits and pieces of other mythologies (familiar and not so familiar). And that's the problem with "The Fionavar Tapestry" trilogy; there's just too much! It's impossible to completely follow or fully feel involved in the myriad threads of this tapestry. The reader (or listener) finds hints of Arthur, of Tolkien and C.S. Lewis, of Greek, Norse, Roman, and Celtic myth. Kay's language, always poetic, ranges from moving and high-flown to faintly ridiculous. Simon Vance presents it all with conviction, but the relentless drama and absolute lack of humor in this saga makes it, in the end, tedious and a little pretentious. 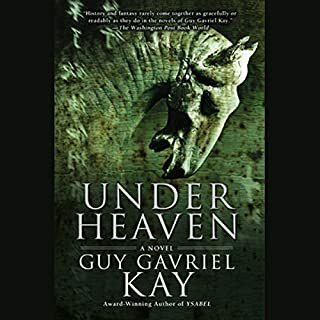 I will remain a fan of Guy Gavriel Kay, but I cannot recommend committing to "The Fionavar Tapestry". Very nicely done. However, the chapter numbers shown in the app do not correspond with the reading. I liked this last book in the series - pretty focused, and the dramatic ending was satisfying in terms of the character development of someone who until then, was a bit annoying. I'm normally not into fantasy but this trilogy captivated me, as did this, the third and final book of the series. Simon Vance' s narration is unmatched. Tears fell like rain many times as I listened. The combination of author & narrator makes this Trilogy something magical. 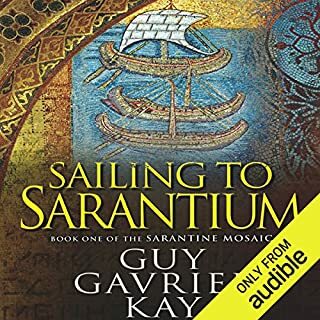 Yes, there are slow parts in each installment but the magic and magesty kept me hanging on to the end and immediatly buying and listening to the next book. The ending in surprisingly satisfying in a way that too many series never are. Start with The Summer Tree and hang on through to this, The Darkest Road, you won't regret it. wow! what an amazing story well and truly woven. excellent story with deep and rich characters. performance was amazing, all the voices truly crafted. 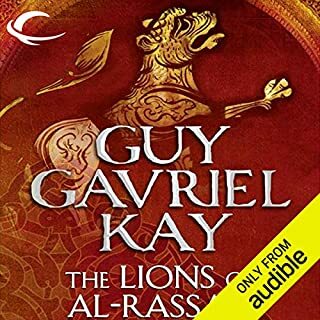 An audio reread of one of my favourite books. Guy Gabriel should be more famous. If you could sum up The Darkest Road in three words, what would they be? What other book might you compare The Darkest Road to, and why? There are parts of this book which every time I read I cry during. 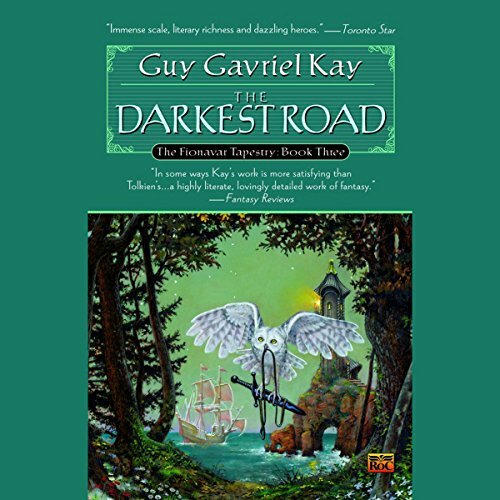 Would you consider the audio edition of The Darkest Road to be better than the print version? My fav character would have to be kim. every time she threw a new twist into the book. He puts a lot of emotion into this book. it sounds like he enjoyed reading it just as much as I did listening to it. I had a good laugh in parts of this book and there were a lot of sad ones to.